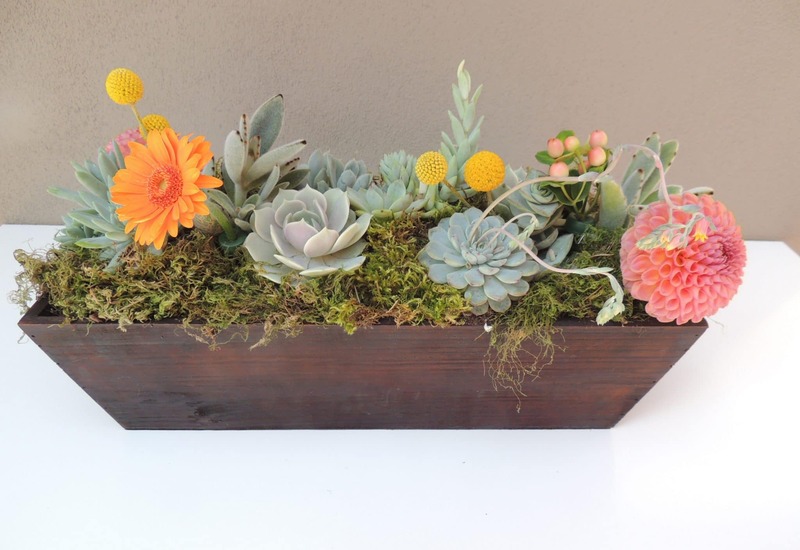 If you like the idea of a small and light bouquet you might want to consider a large succulents surrounded by small echeverias and filler flowers. 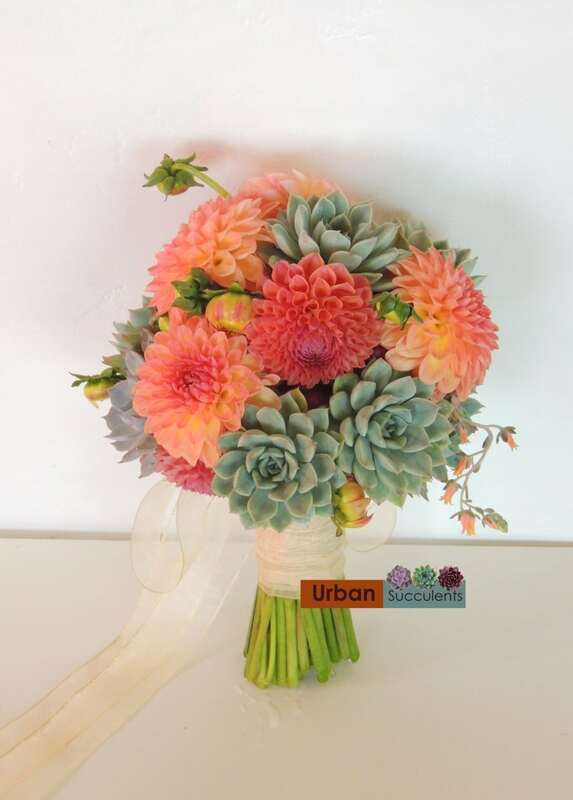 Mixed Succulent Bouquet.This bouquet is made with one dozen succulent stems and measures 8 inches in diameter. 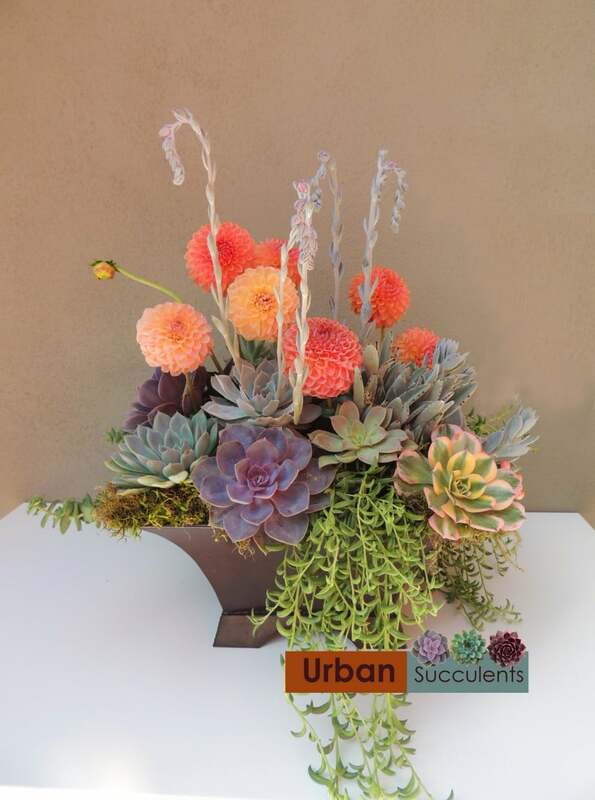 San Diego Local delivery only Four types of Succulent: Echeverias, Lola, Peacokii, Mazarine,and Subsessillis are mixed with yellow, orange and white Blosfeldiana blooms, Mini Pink Carnations or Dianthus, Tangerine spray roses, Sugar Diamond Limonium, Lily Grass. 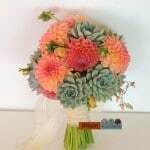 Succulent bouquet created with green echeverias, perle von nurnberg, accented with pink kalonchoe blossfeldiana. 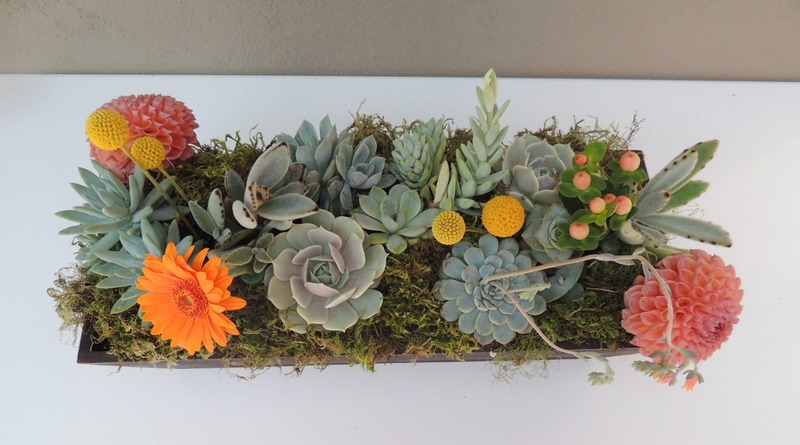 This bouquet features senecio, hen and chicks, cotyledon tomentosa and anacampseros.The stems are wrapped in jute ribbon, twine or white satin ribbon.